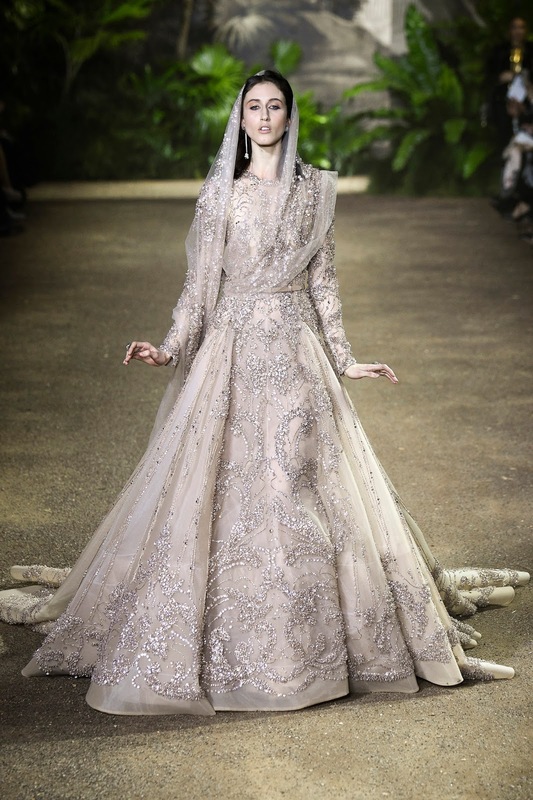 This season, Elie Saab took us on a journey to the middle east - couture style. 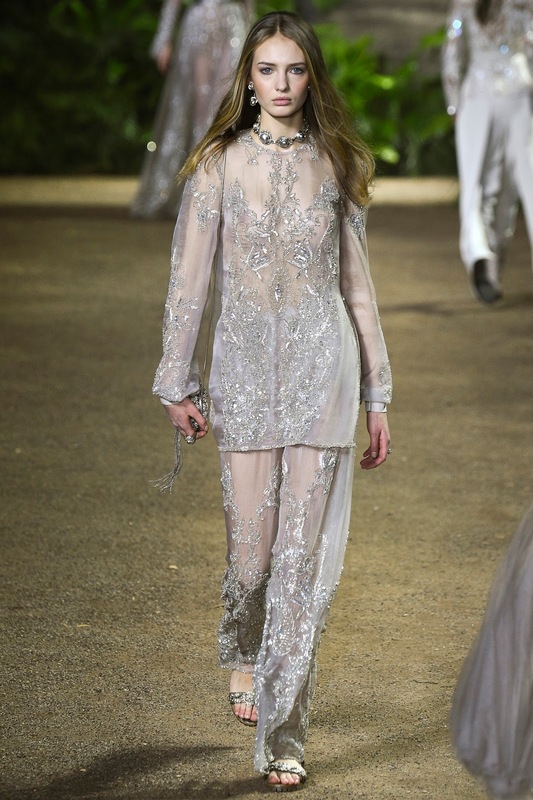 India and Indian culture was the muse and inspiration behind the magical collection, and it was refreshing to see something different from Elie Saab. 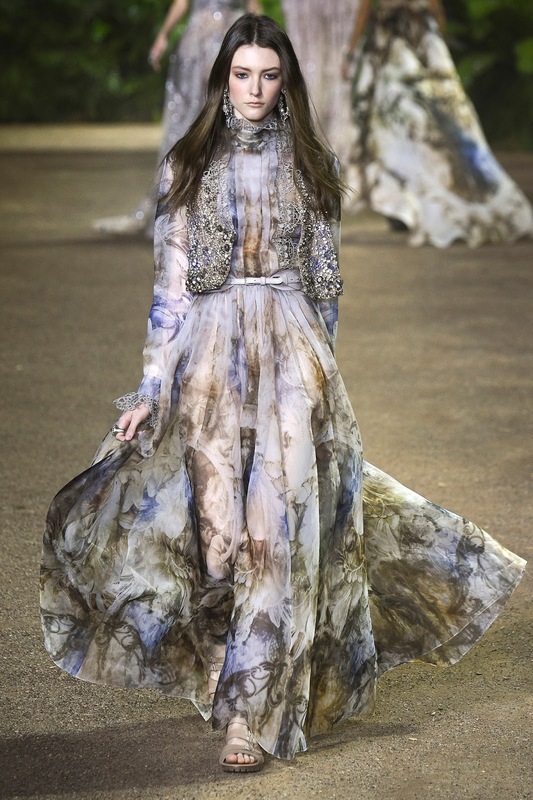 When I say different, I mean, still ever so couture as always - but with perhaps a more relaxed undertone with the majority of the looks. 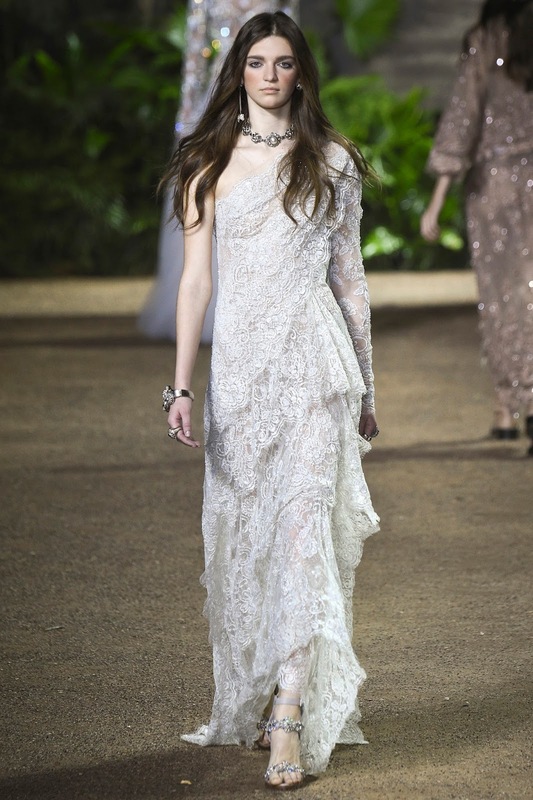 It wasn't just red-carpet looks gracing the runway this time - but perhaps more wearable looks for a formal party - rather than the oscars. 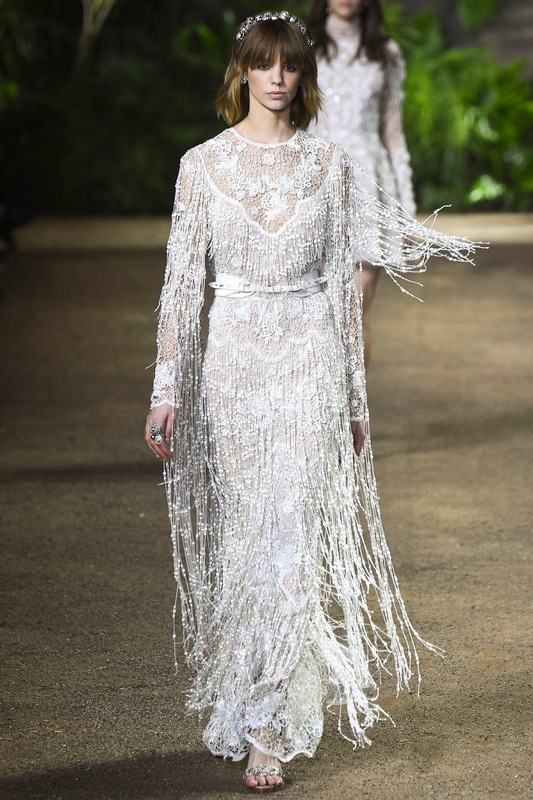 Of course, Elie Saab is never short of glamour and even though this collection had a perhaps a more relaxed muse, the collection was anything but. 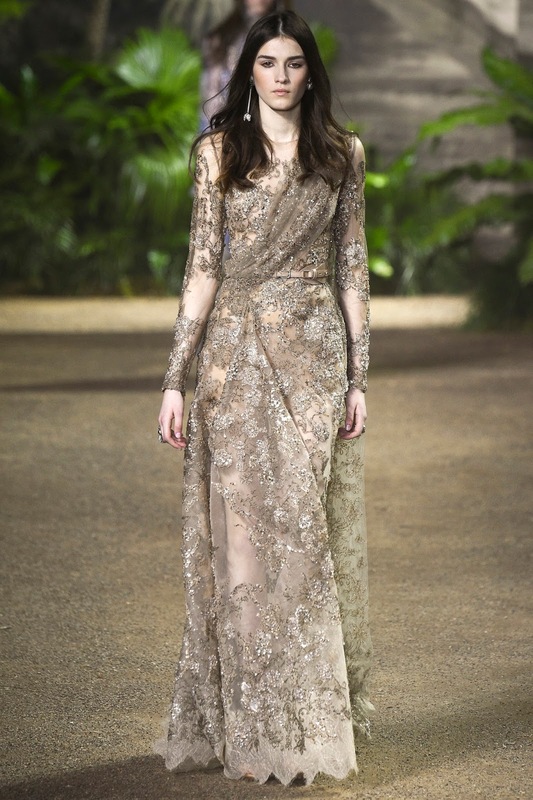 In more depth, Elie Saab's inspiration wasn't just India, but actually, the english woman in India. 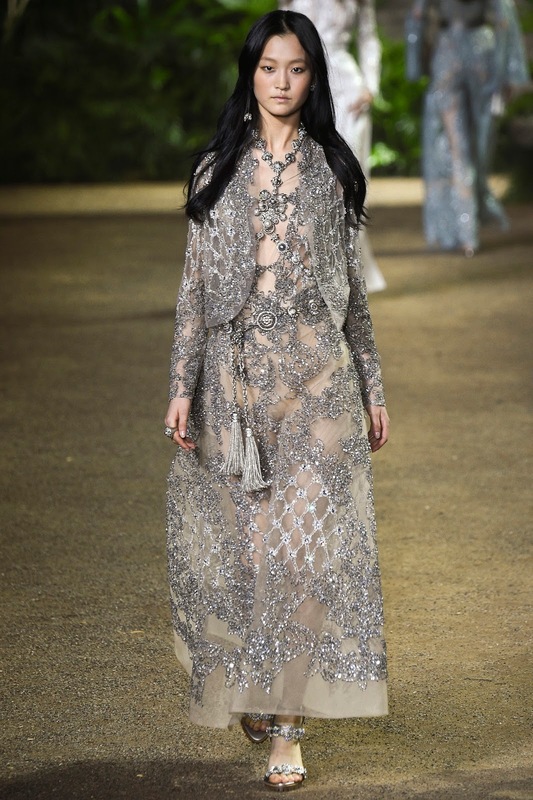 It was as if he had a particular english woman in mind, giving a scenario and then dedicating the whole couture collection for her. 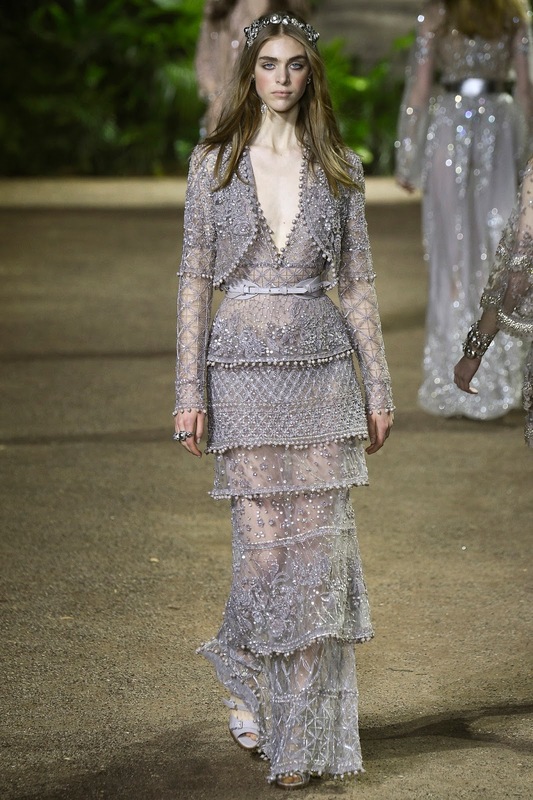 Hearing that brief and inspiration, Elie Saab had nailed this to a T.
"India is her backdrop and her inspiration for a new blend of formalism and ease, opulence and elementary lines." 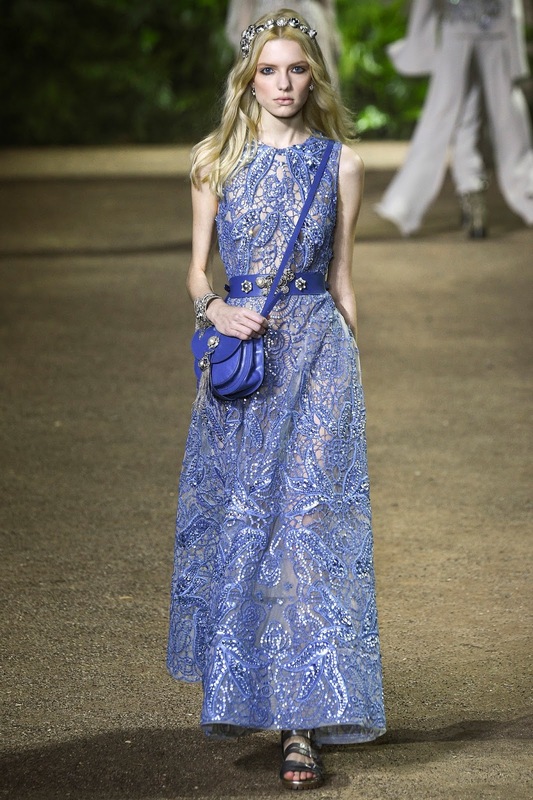 It was evident that Elie Saab is venturing into change, a change that still works with his own brand image of embellishment, beauty and glamour. 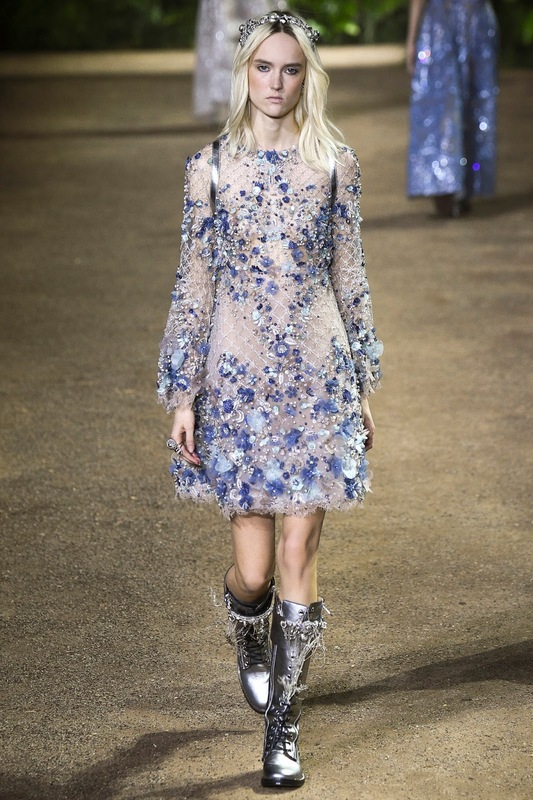 The change was certainly noted in his Pre-Fall collection which I wrote about. He introduced flats, and even wellies. 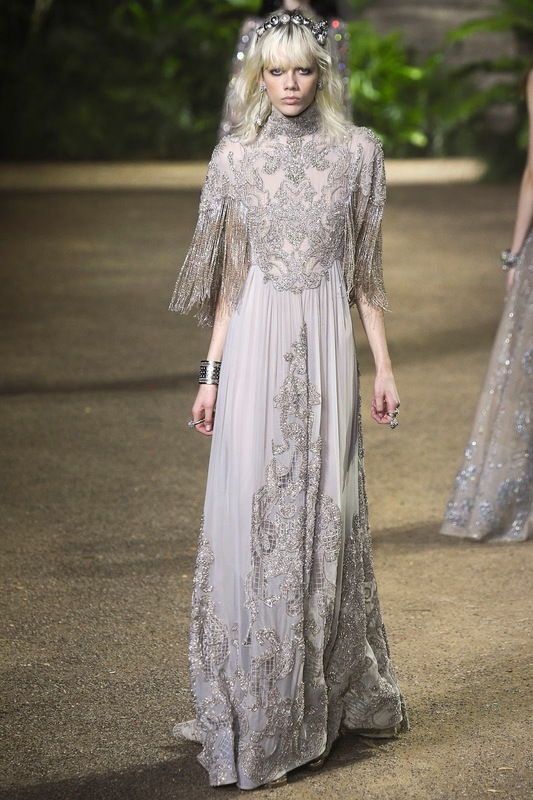 Like i mentioned in the post, Wellies and Elie Saab wouldn't be read in the same sentence but being the genius designer he is - he made it work. 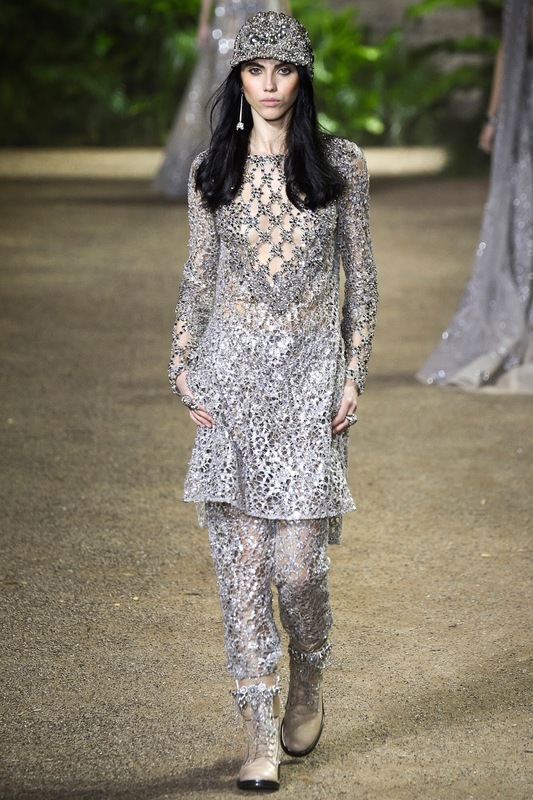 The collection was significantly more youthful and wearable - in contrast to his iconic captivating gowns. 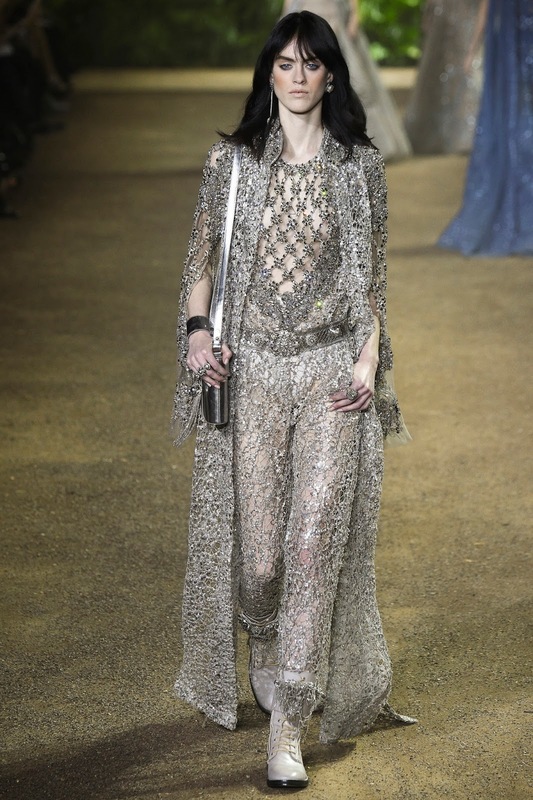 It felt like he had carried on the youthful feel into this collection, with of course the couture edge. 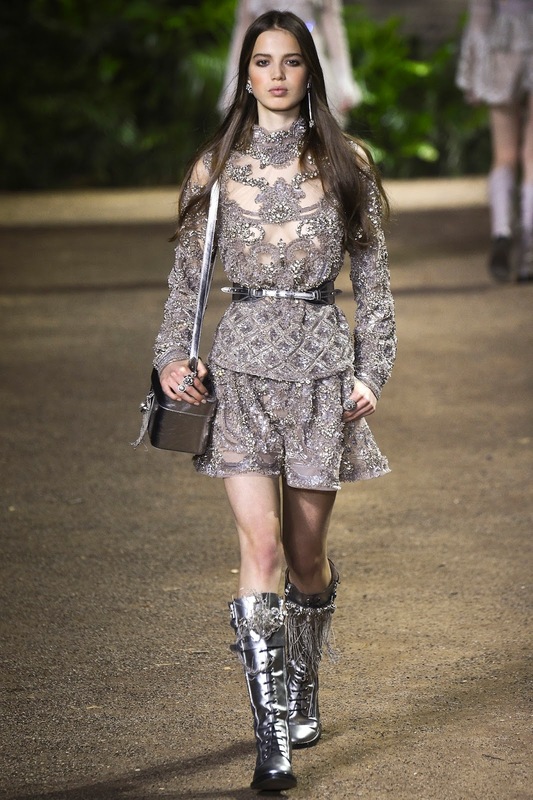 He featured combat boots, over the shoulder bags, belt bags and gladiatorial sandals. 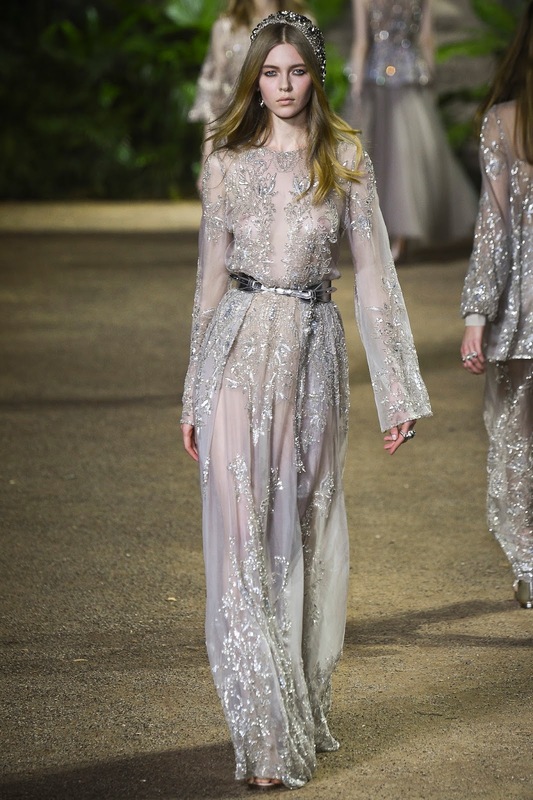 He of course gave the garments an Elie Saab touch by presenting them in metallic - which worked so well with the formality and glamour of the dresses and clothing pieces that graced the runway. 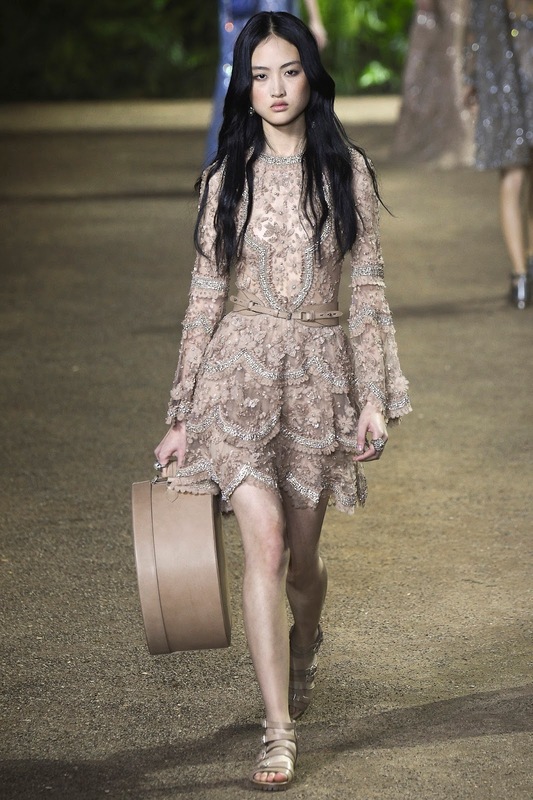 The edwardian muse that Saab tends to stick by was of course present, but was complimented with Indian style pieces. You didn't know what to expect when the next look was modelled and that is exactly what made this collection so exciting. 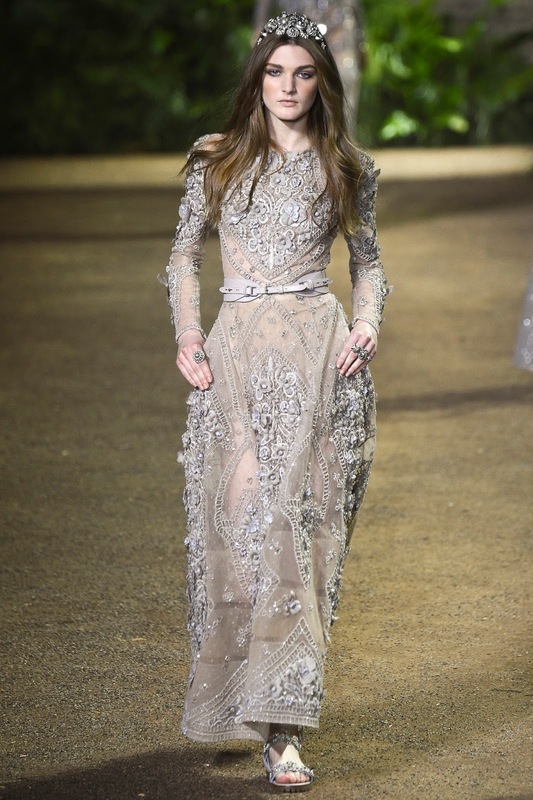 Of course, an Elie Saab Couture show wouldn't be one without that finale dress. 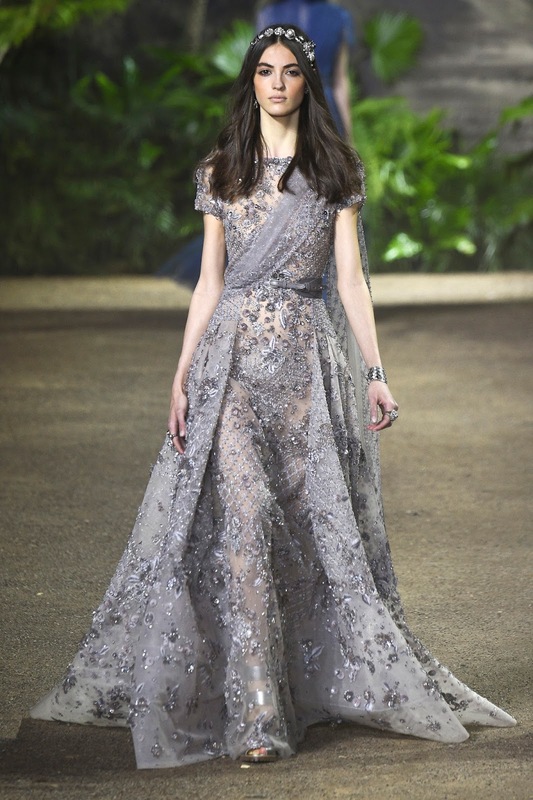 This couture season, the gown was of course embroidered to the max, beautifully designed and constructed in a gorgeous grey colour. As expected, but with an indian culture twist. I absolutely adored it.